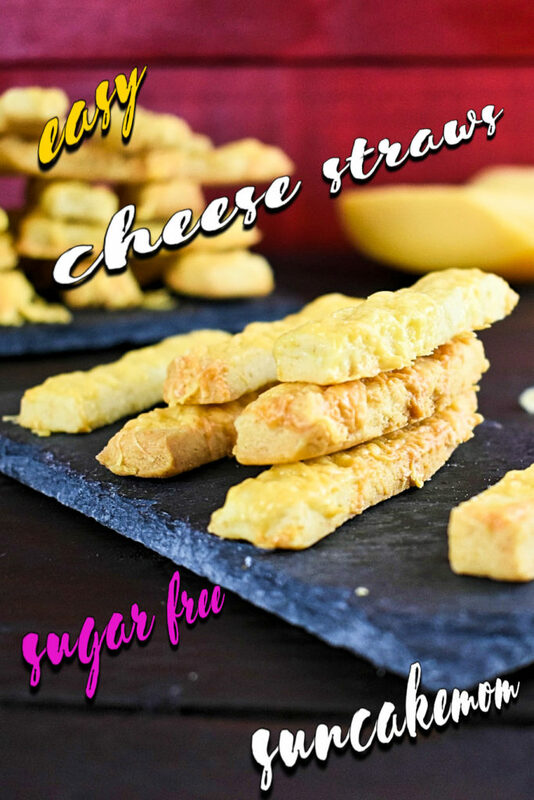 Let it be a game night or a kids party these simple to make cheese straws must be at the top of the party snack list. Easy and tasty! 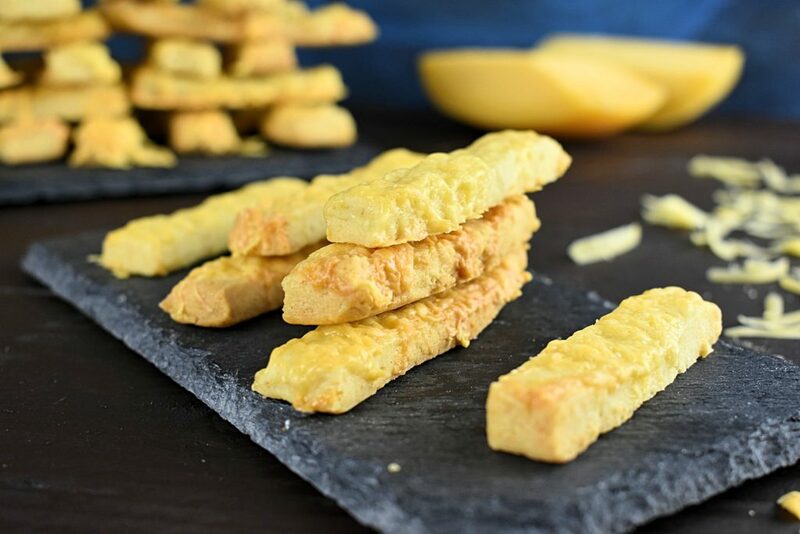 Cheese straws are truly perfect to serve for game nights when we want to enjoy matches and funnel the over-excitement by nibbling on something delicious and gulping it down with some summer drink. So when we are thinking about healthy super bowl recipes to snack this should come up right around the cheese scone and cheese stuffed crescent roll. 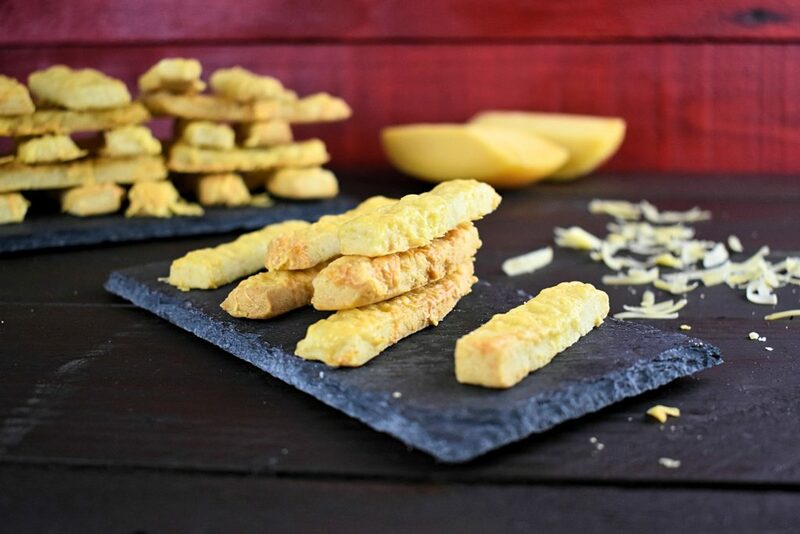 Not only that but cheese straws are also ideal for kids parties if we fancy serving something homemade savory snack for the children or their parents. For kids parties, we can simply modify the shape of the straws, making them wavy and stick two raisins as eyes at one of the ends of the straws so they look like little wiggly worms. Children go completely berserk for them. 1. Measure flour and put it in a medium bowl with a pinch of salt and the baking powder. 2. Measure and dice butter. 3. 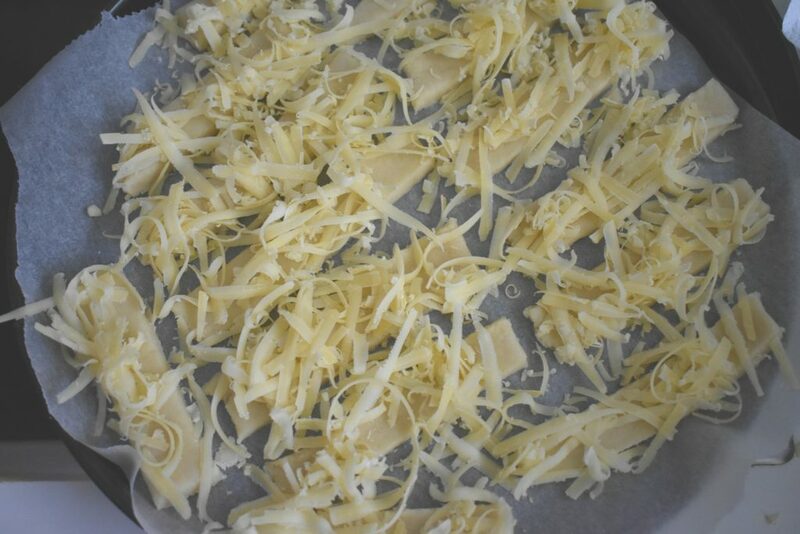 Grate cheese and put it aside in a bowl for later. 4. Mix butter with flour by hand. The texture should look like breadcrumbs. 5. Stir in the egg and add a couple of tablespoons (3-4 depending on the texture) of water to the mixture. 6. Knead it into a firm dough then roll it out the dough to a thin squarish shape. 7. Cut between quarter and a half inch (1cm) wide strips out of the the square (vertically). Then cut the square in half (horizontally). 9. Cover tray with baking sheet. 10. Transfer strips carefully onto the tray. 11. Sprinkle grated cheese on each straw. 12. Put tray into the preheated oven and bake cheese straws for 10-15 minutes, until crisp. 13. Take tray out when cheese melted and golden brown then leave to cool on the tray. Serve it with some summer drink like Zesty sugar free lemonade or Strawberry lemonade to be the best party host this summer. 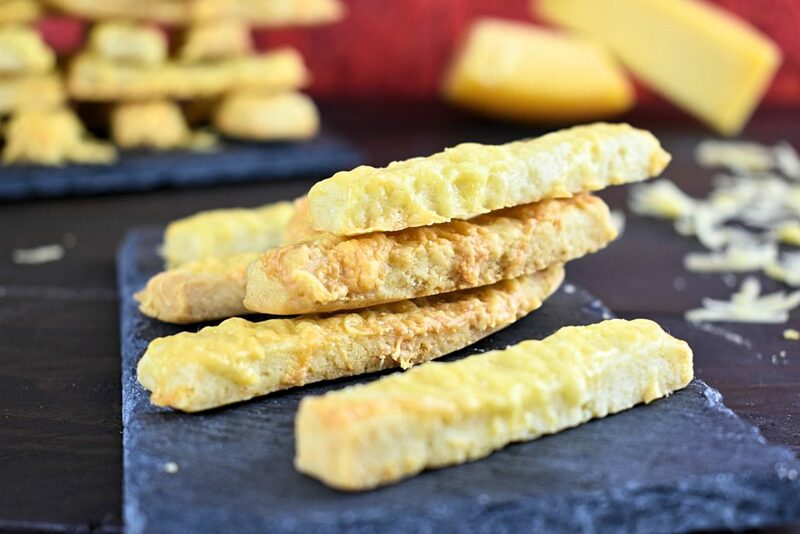 Let it be a game night or a kids party these simple to make cheese straws are the ultimate party hit. Measure flour and put it in a medium bowl with a pinch of salt and the baking powder. Grate cheese and put it aside in a bowl for later. Stir in the egg and add a couple of tablespoons (3-4 depending on the texture) of water to the mixture. 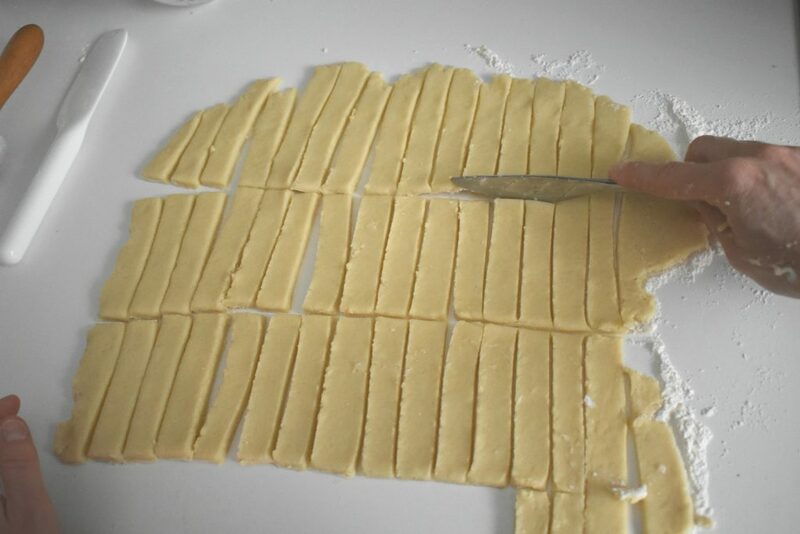 Knead it into a firm dough then roll out the dough to a thin squarish shape. Cut between quarter and a half inch (1cm) wide strips out of the the square (vertically). Then cut the square in half (horizontally). Cover tray with baking sheet. Transfer strips carefully onto the tray. Sprinkle grated cheese on each straw. Put tray into the preheated oven and bake cheese straws for 10-15 minutes, until crisp. Take tray out when cheese melted and golden brown then leave to cool on the tray. Serve it with some summer drink like Zesty sugar free lemonade to be the best party host this summer. I made this for my kids birthday party over the weekend! You were right! It’s the ultimate party hit! I even had to make an extra batch to stop them crying. They’re generally very fond of it indeed. Thanks for the recipe! It was delicious and easy to make! These one saved the super bowl! It was really easy to make and perfect for snacking!